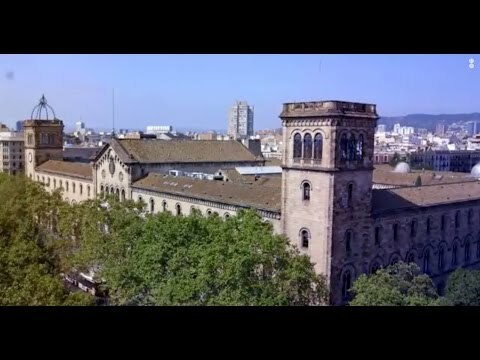 The Universitat de Barcelona, founded in 1450, is a comprehensive higher education institution that presents deep academic tradition coupled with frontier scientific knowledge. It is located in the city of Barcelona, one of the main cosmopolitan hubs in the Mediterranean and indeed in Europe. The University of Barcelona’s sixteen centres, clustered into six main campuses, are spread over the city and completely integrated into the urban life. Thus the majority of which are located within the city itself. The city itself becomes the campus of the University. Being one of the biggest universities in Spain, the University of Barcelona welcomes a large number of students from both Spanish universities and abroad every year. It has over 44.000 undergraduate students and almost 19.000 master and postgraduate students and doctoral candidates. Almost 15% of the students are from overseas and of over 122 different nationalities. As a public institution, the University of Barcelona, focused on academic excellence, is committed to training and preparing the present and the next generation of global citizens—professionals, researchers, entrepreneurs, leaders—with the capacity to work at the highest level anywhere in the world. At the same time, University of Barcelona’s commitment to research has positioned it first in Spain in International rankings; and as one of the most prestigious universities in the world regarding research impact. The University of Barcelona has an international vocation, thereby is a member of leading worldwide university networks, including the League of European Research Universities (LERU), the COIMBRA group (CG) and the coordination of the Arab-Euro Conference on Higher Education (AECHE). It has over 2.800 International agreements, including agreements with 82 of the top 200 universities in the world. Why choose the University of Barcelona? It is the top-rated Spanish university in the most prestigious international university rankings. It is among the 25 best universities of the world with more than 400 years of history. It is a leading research university in Europe. It is situated in Barcelona, one of the best university cities in the World. It offers a wide range of course offerings: bachelor’s degree courses, master’s degree courses, doctoral programs and other specific courses and programs.